Creation: Appeared Oct 1954 (CTB) as a renumbering of US 58. This is the 2nd VA 51. Official maps up to 2012 do not show any multilaning. However, it is 4-lane undivided from Blair Loop Rd west to US 58 Bus and has been back to at least 1992 and possibly much earlier than that. Comment: VA 51 serves the Westover area in western Danville, but why this is still in the primary system is a mystery to me as US 58 Business is never more than a half-mile from it. Previous VA 51's: VA 51 #1: Appeared Aug 1928 as a renumbering of VA 312, running from US 1/VA 31 Gum Tree to Coatesville, Teman, Chilesburg, and Spotsylvania CH before ending at US 1/VA 31 Four Mile Fork near Fredericksburg. 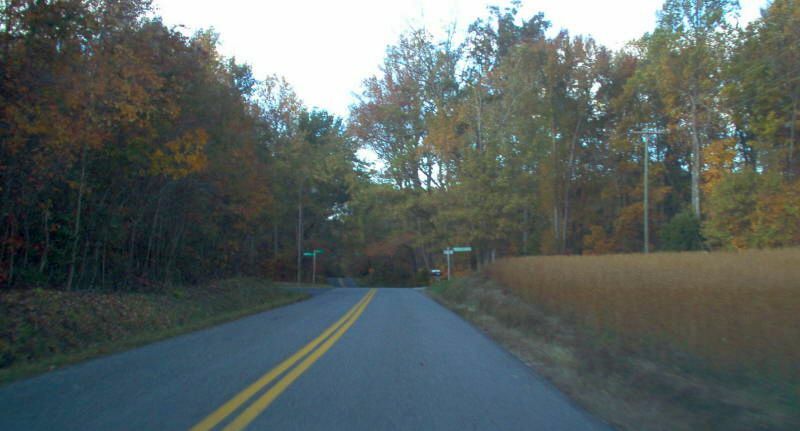 In May 1950 (CTB), VA 51 was downgraded to SR 738 from Gum Tree to Snell and renumbered as part of VA 208 from Snell to Four Mile Fork. 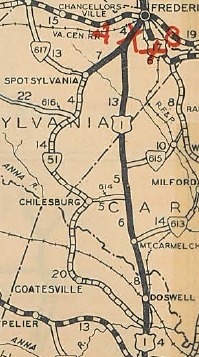 In the original highway system, VA 1 used old VA 51 from Coatesville to Four Mile Fork as part of the main way to get from Richmond to Washington DC. VA 51Y: VA 51Y was born in 1945 or 1946 as renumbering of the wester discontinuous piece of VA 30 from VA 51 west to Beaverdam. In May 1950 (CTB), VA 51-Y was downgraded to SR 739.